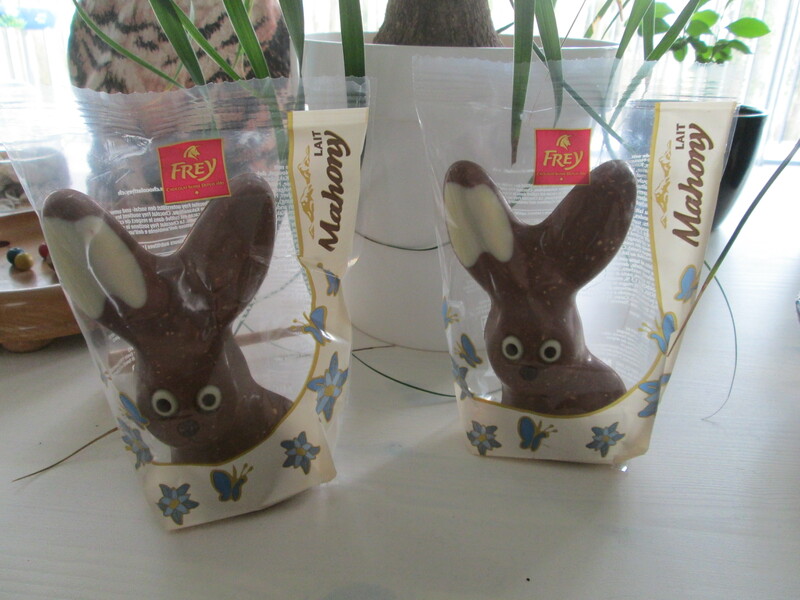 Chocolate eggs aren’t big in Switzerland. They do exist, all sizes and fillings and wrapped in a variety of colourful foils. 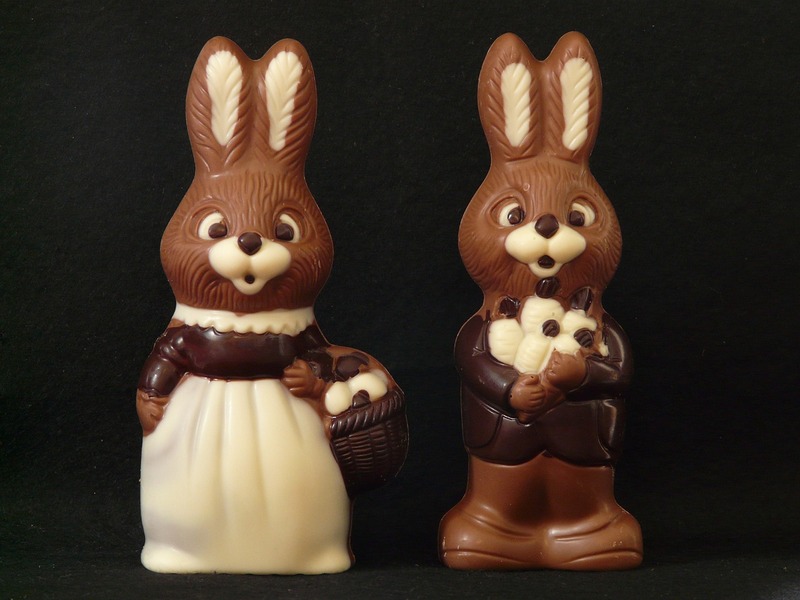 But the main (chocolate) event here is – bunnies. to the kind you buy in your local supermarket. 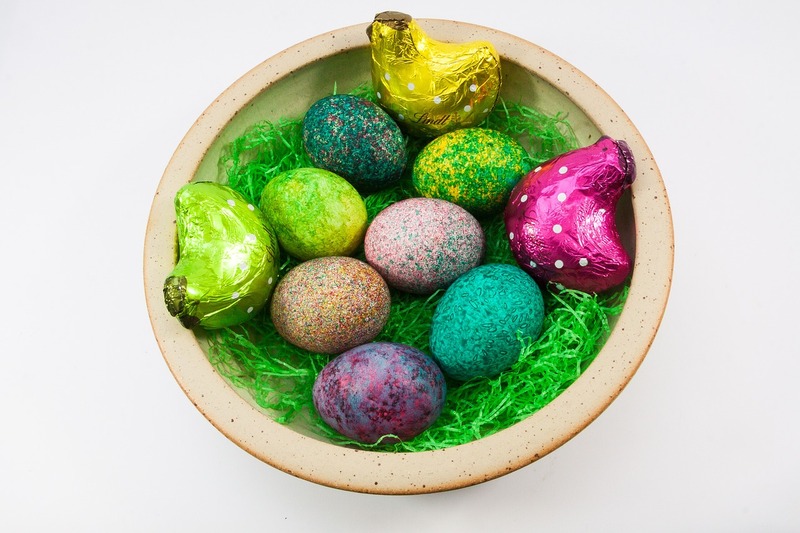 The baskets usually include hard boiled eggs, which come in a mind-blowing variety of colours and designs. 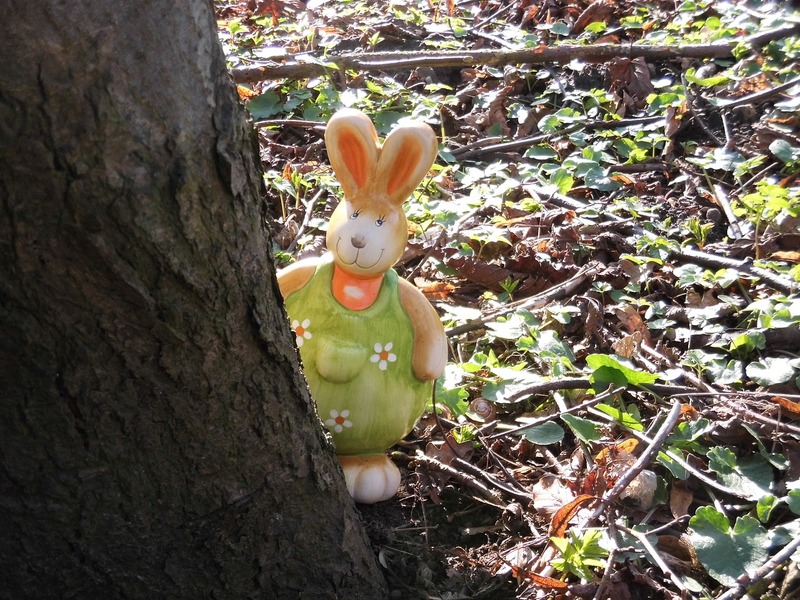 This entry was posted in Life in Switzerland and tagged chocolate, Easter, Switzerland. Bookmark the permalink. We used to ski at Easter in Switzerland and keeping the children away from Easter bunny excess was one of the challenges. Okay, Linda, now I’m really “homesick”! Have a wonderful Easter. Happy belated Easter! 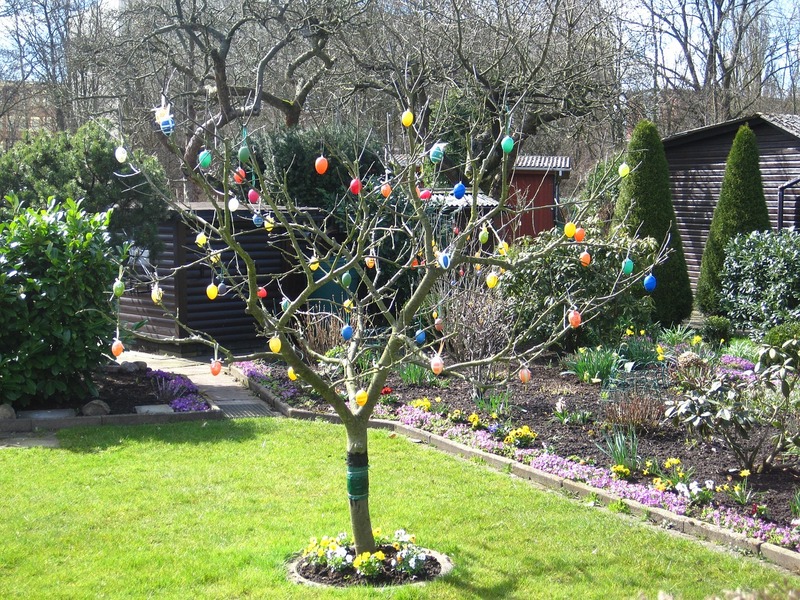 I love the idea of decorating outside for Easter. It would make everything so cheerful and trust me, Alaska could use some cheer at this time of the year, caught as we are in that obstinate stutter between winter and spring. P.S. I’m suddenly hungry for a chocolate bunny, lol. Cheers and have a great week. Thanks Cinthia, you too! 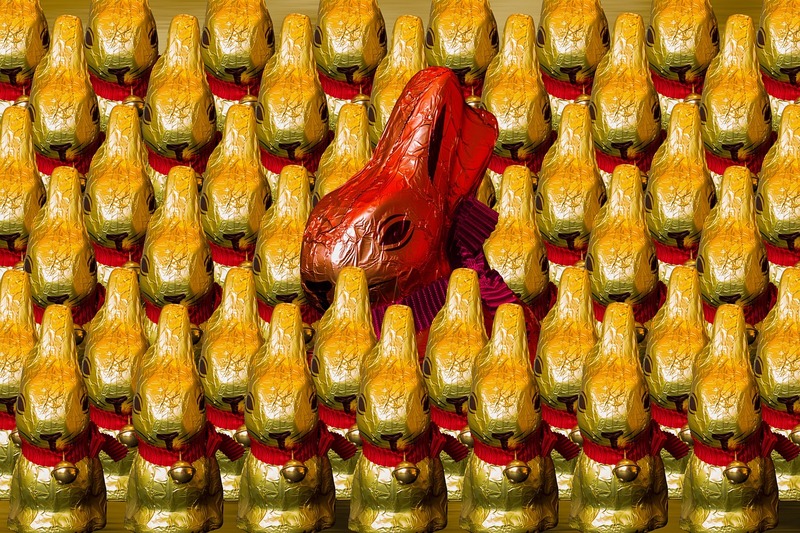 Yes, chocolate bunnies are the best. It’s just a pity they’re so calorific… 😦 Hope spring comes soon to Alaska!